Known for its focus on the end result while giving employees a ‘chill’ work environment, Google provides its staff with many benefits and perks that aim to increase the quality of life both inside and outside the office. This includes free meals, snacks, and premium drinks from one of the firm’s dozens of on-site restaurants. With these types of perks, Google has become almost as famous for its premier working conditions as it has for its popular search engine. 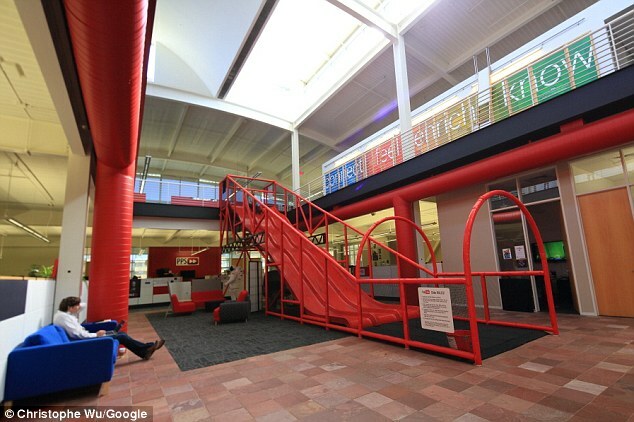 The Youtube offices (a subsidary of Google) features a three lane slide. The tech giant uses slides throughout its international offices to add a dash of fun to their employees’ work day. These rides vary from covered, plastic, and straight, to metal, open, and spiraled. Google generally places the slides next to staircases offering employees opportunities for exercise going up and exhilaration coming back down. The Singapore Airport also incorporates slides into its design. The airport features a slide at Terminal 3 that is the nation’s largest as well as the largest in any airport in the world. This awesome structure stands four stories tall and sends riders down to their destinations at a brisk 20 feet per second! With various twists and turns, this ride really can change travelers’ perspectives concerning airline travel. If it is a bit too exhilarating, however, the airport also features a smaller, slower version that kids and parents alike can enjoy. 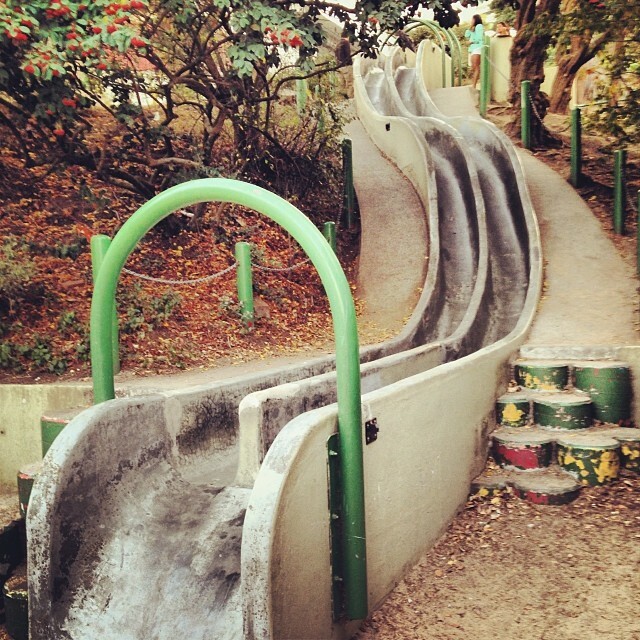 Finally, San Francisco boasts a couple enormous neighborhood slides on Seward Street made completely out of concrete. For childless adults, however, it is recommended to borrow a neice or nephew for the afternoon because a sign in the park reads: “No adults unless accompanied by a child.” You may even get yelled at if you’re unaccompanied! The rides were a result of community activism and have been around for over 50 years now. In 1963, the land where the slides currently stand was slated for commercial development, but neighborhood residents organized and protested the continuing eradication of nature and open spaces. As part of these protests, fearless neighbors even staged a sit-in in front of a bulldozer in 1966. By 1973, the protesters finally won and had the vacant lot turned into a park that featured the enormous slides. 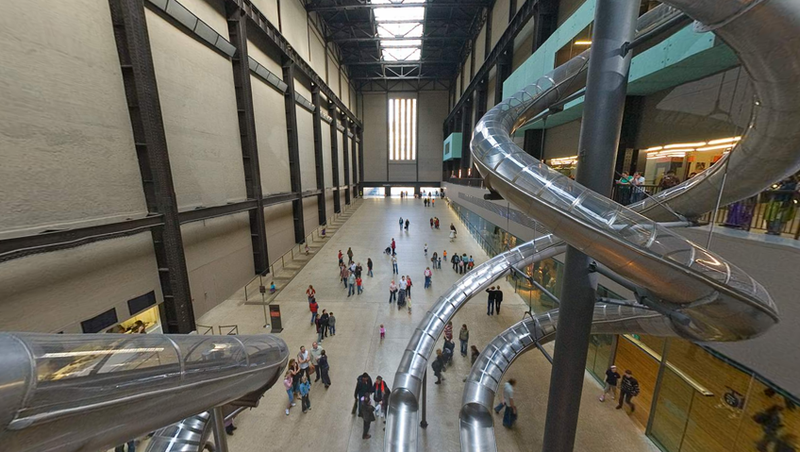 You know where it’s not odd to have a slide? At your next party. An inflatable slide will infuse your gathering with the same euphoric feeling Google employees get to feel every day. And who wouldn’t want to step into the shoes of a Google employee?